The Caribbean has been an attraction for tourism, not only for its sandy beaches, warm waters, and alluring temperatures all year round, but also for it’s friendly locals, cultures and each islands Caribbean Festival. Some people may not realize how vast the Caribbean Island chain is. Many think you can see all the islands with just one hop away. Although this may be true of certain areas of the Caribbean, but this massive archipelago islands stretches 1.06 million square miles, from the southern tip of Florida all the way to South America. It comprises of 13 sovereign states and 17 dependent territories. Languages spoken throughout the islands are English, French, Spanish, Dutch and of course Creole. Each island has it’s own distinctive character and when you want to discover a new island, there is no better destination than Grenada and it’s sister islands of Carriacou and Petit Martinique. 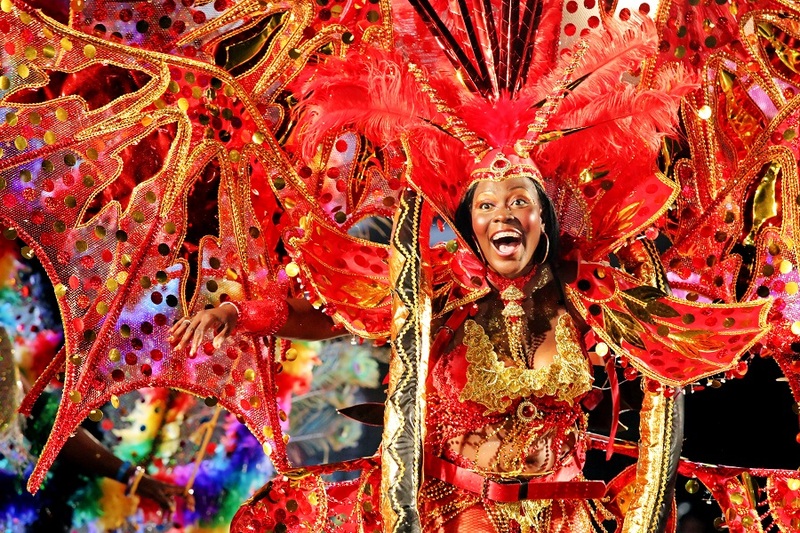 The best part of a Caribbean escape is coordinating it with a Caribbean festival. 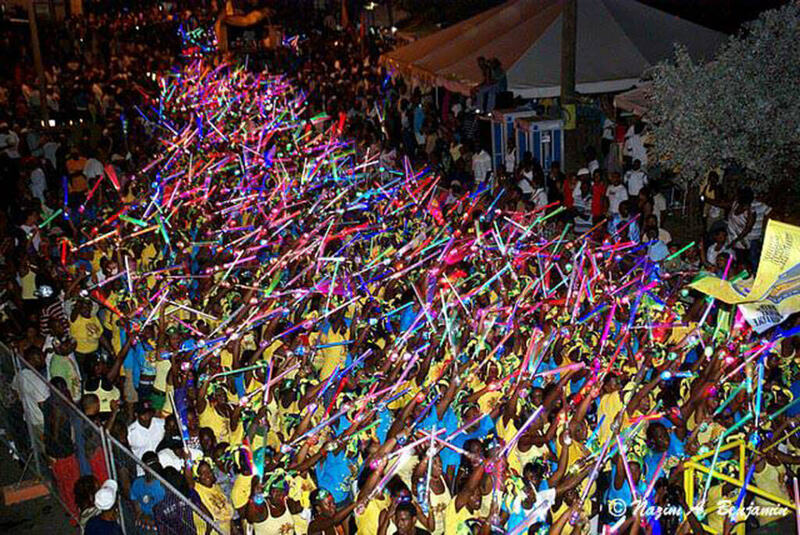 If you are planning a Caribbean travel for the month of August, there is no better time than to experience the Carnival revelries in Grenada. Although Grenada is small compared to the bigger Caribbean islands of Trinidad and Jamaica, but there in lies an the opportunity for a more intimate experience. Party as a local and be a part of the theatre of carnival, instead of being a mere spectator. 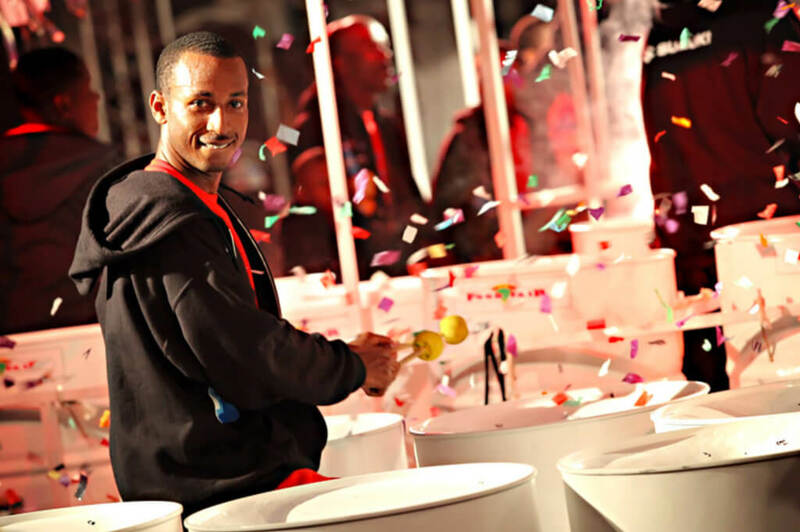 The festivities begin in July, when the Calypso tents are open and local sings their rhythmic songs, all to compete for a chance in the finals of the Calypso Monarch Competition. 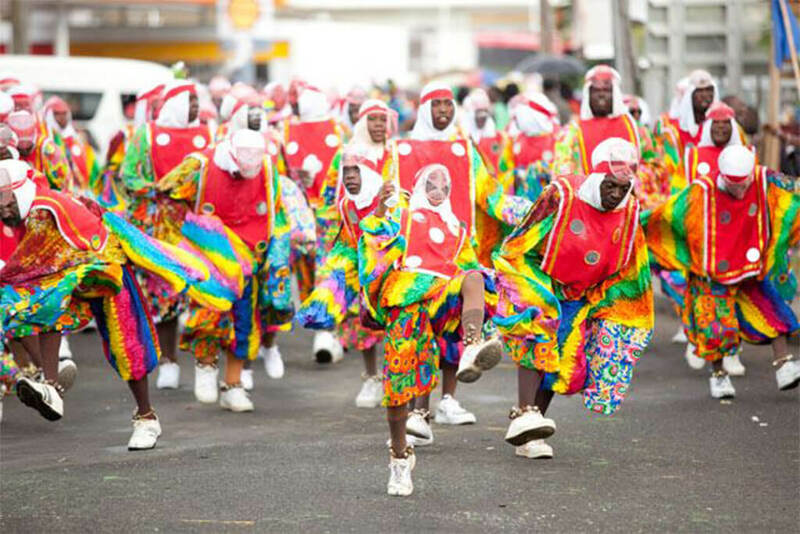 The Carnival revelry really starts in early August with different cultural shows and calypso competitions. Steel Pan yards play into the night practicing their music compositions, for the Panorama finals competition. One week before the carnival weekend, Rainbow City Festival in Grenville, on the East coast of Grenada, begins the carnival countdown, with a craft and cultural fair. Within the week is the National Carnival Queen Show beauty pageant, followed by the Soca Monarch finals and the Panorama Steel Band competition. 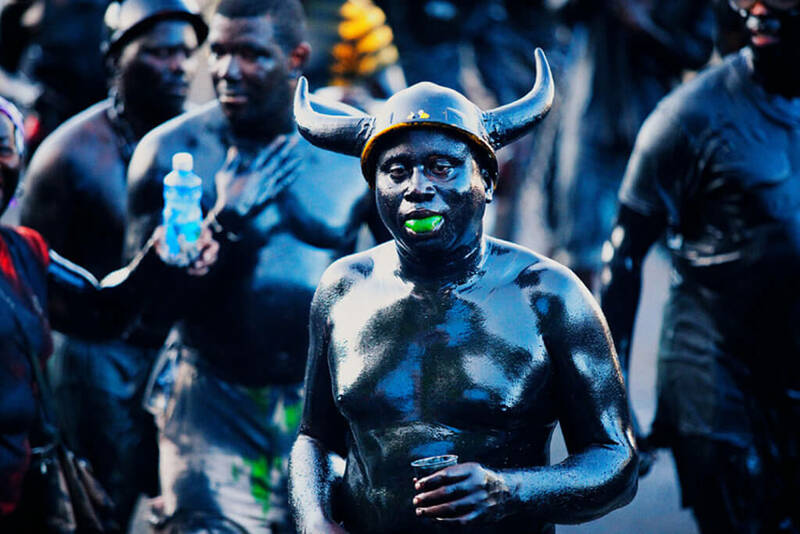 As the Monday morning sun rises, the devils give way to the traditional Pretty Mas costumes. A fancy sailor, or wild Indian masquerader may drift your way, but he most prevalent are the Short Knees that wear baggy pants, scatter baby powder and have a traditional dance step. Monday Night Mas closes the Monday festivities where one adorns a brightly coloured t-shirt and wave anything the illuminates the cool tropical evening night sky. Dance away until the wee hours of Tuesday morning. The final hours of Carnival Tuesday are spent jumping up in a Pretty Mas band along side a flat bed truck piled high of music speakers, that crank our this years Calypso songs. All fun must come to an end, when on Ash Wednesday; the solemnity of the Catholic Lenten period begins. Stay in comfort at Laluna, which is only ten minutes away from all the fun that is based in St. George’s. Our five bedroom villas are a perfect way to stay in a group, while experiencing all of the Grenada festivities. Check out our Grenada Getaway Special for all of our accommodations. Our Concierge will be happy to arrange costumes, tickets to shows and taxi rides to access all of your Caribbean festival fun in Grenada.